What is the Brand EU Centre and how are you funded? 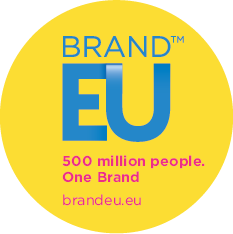 The mission of the BRAND EU – European Union Brand Centre is to assist in the creation of a powerful EU BRAND identity and vision that connects with citizens and the rest of the world. One of our key present objectives is to keep the UK at the heart of the EU. Via our various programmes, we aim to clarify what the EU really is, its global role and where it is going (vision). It is critical for citizens to get involved in the EU project. To achieve this, we must re-invent the BRAND EU and show its key benefits, while proposing ways forward, recognising the need for constructive EU reforms. The Centre uses Gold Mercury International’s extensive experience in global governance and EU affairs as well as Corporate Vision’s consulting expertise in global branding, strategic visioning, scenario planning, business models and cultural innovation. BRAND EU is a long term project and we have structured it as a Centre to attract top opinion leaders and to give the project leadership, permanence and continuity. We are funded by Gold Mercury International and via corporate sponsorships of our various projects and programmes including events, research, publications and design of brand campaigns. What is the Brand EU viewpoint? Europe needs a new innovative vision of the continent. A beacon that inspires us to build a renewed and stronger European Union. Despite being the worldwide shining bastion of global governance and peace, the “brand” or the identity of the EU, has not been well managed, understood or communicated to the people. This has created a prevailing atmosphere of disenfranchisement and opposition, to what is undoubtedly an incredible global public good of peace and great stability for us all, given today’s increasingly unstable world. The European Union is the legacy and resolution of centuries of war and conflict in Europe, culminating in WW1 and WW2. It is crucial that we do not allow this legacy to be eroded by its own weak brand strategy, which does not reflect the current reality of what the EU has achieved and what it is doing for Europe and the world. We aim to fix this vision and image problem. Why do Gold Mercury International and Corporate Vision care about Brand EU? The European continent has been a battlefield for millennia. Post WW1 and WW2, what is now the EU has prevented wars among previous enemies and maintained peace in Europe. Without UNITY, PEACE is not guaranteed as events in the former Yugoslavia and in the Ukraine have shown. A potential disintegration of the EU (a broken and divided Europe) leads to an ungovernable state of affairs and great uncertainty; and the potential economic and social collapse of the continent. The recent Scottish Referendum in the UK, other separatist movements and the Greek crisis have shown us how vulnerable nation states still are in Europe. A strong EU is vital to keep nations strong and together. A strong EU is a global good for Europeans and the world. Euro-sceptics focus on amplifying the negatives and use distorted and fabricated facts about the EU. The entire EU discourse is currently framed negatively. We will focus on amplifying the positives of the EU; which totally outweigh any negatives. What are you doing to re-brand/re-invent the EU and impact the debate? Extensively researched, fact-based publications, reports and policy recommendations. Brand EU and Captain Euro websites. Informing & educating citizens on the EU. Spreading the message via global media. Marketing campaigns (advertising, online marketing, videos, info-graphics, etc). Involve key decision makers and opinion leaders in pro-EU discourse (Europe and rest of the world). Organise high profile events to debate key topics. Partnering with other think tanks, organisations and companies to promote EU vision and values. Who is involved? Who leads the Brand EU Centre initiative? The BRAND EU Centre is led by Nicolas De Santis, CEO of strategy & brand consulting firm and tech incubator Corporate Vision. He is also President of global governance think tank Gold Mercury International. 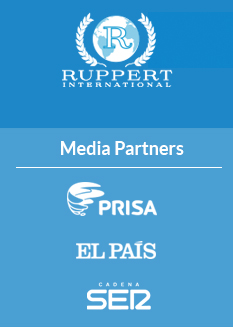 Leading EU experts and global business figures have joined the initiative, including Enrique Baron Crespo, former President of the European Parliament and Todd Ruppert, Founder & CEO of Ruppert International. Nicolas De Santis is an internet entrepreneur, expert in global branding and European Union identity issues. He has advised the European Parliament and the European Commission on EU Brand issues and the launch of the EURO. Enrique Baron Crespo is a leading figure in the construction of Europe, President of the European Parliament (1989–1992), Chairman of the European Parliament Committee on Foreign Affairs (1992–1995), Chairman of the International Trade Committee of the European Parliament and was the International President of the European Movement. Todd Ruppert is the former President & CEO at T. Rowe Price Global Investment Services. We are currently gathering leading figures to join the BRAND EU Ambassadors programme. Leading personalities such as business leaders, academics and government leaders are joining the programme. Why does Europe need a brand? And why are Gold Mercury the ones to do this? People understand brands. Most people only remember a maximum of 5 to 10 types of flowers but they remember hundreds of brands. Well managed brands communicate the tangible and intangible values of a concept or product and engage with their audience. We also use branding as a vehicle to communicate a new vision of the future. The EU brand is currently not well managed, it lacks vision. Similar to the brand of the United Nations, the EU is complex to explain and difficult to engage with. We believe that we need to treat the EU more like a global brand such as APPLE, BMW or SKYPE. We need to package the ‘EU’ as a clear brand with key benefits in order to create an emotional and engaging connection with the public. Due to our EU expertise and the complexity of the policy issues and stakeholders surrounding the EU and its brand, we are ideally positioned as a strategic vision and global branding think tank to do this project. What do you think about the upcoming In/Out referendum on Britain's EU membership? In the run up to the recent 2015 National Election, the Conservative calls for an EU referendum was designed to provide the Tories a theoretical advantage and defence against the rise of UKIP and satisfy the hard line Eurosceptics of the Conservative party. By leading the UK to an IN-OUT referendum, Eurosceptics have generated and will continue to generate huge economic and political uncertainty and weaken both the United Kingdom and the EU. The UK leaving the EU weakens both the EU and the UK. A potential UK–EU EXIT has also enhanced the political division in the UK, with the SNP clearly stating its willingness to stay in the EU at all costs. Thus; if the UK leaves the EU, Scotland in turn has again a reason to call for independence to leave the UK. As the devolution issue is not going away and calls for a federal UK intensify the whole affair will get messy. Why does the UK actually need the EU? Europe is not easy to govern, as history and present events in Greece and the Ukraine have clearly shown us. THE EU has protected and maintained peace & stability in Europe for over 60 years. Beyond that fundamental reason, the EU also provides the UK with: the single market, consumer protection, environmental protection, student exchange programmes (ERASMUS), cheaper phone calls, food security, intellectual property protection, regional funds, cheaper flights and free movement of people; to name just a few. Being in the EU allows the UK to have a say and influence all EU affairs and decision. The UK would lose such an advantage if it left the EU. Working closer together and sharing power is better than no power at all in the world stage. Imagine 28 divided countries trying to deal with the potential collapse of Greece, international terrorism, climate change, consumer protection, security threats and so on. No thanks. Peace and security made the EU relevant post WW2. Why is it relevant now, 70 years later? Isn't it NATO that provides peace in Europe? Eurosceptics will tell you that it is NATO that has kept peace among European nations for 60 years. But this is not true. NATO’s charter does not include stopping wars among NATO (EU) members. It focuses on foreign threats which traditionally meant the USSR. The two pillars of NATO and the EU together have built peace in Europe. NATO dealing with foreign related threats and the EU weaving peace, building solid institutions and economic ties among former enemies and peoples. In regards to peace & security (for those that think that PEACE is no longer a relevant reason to stay in the EU), recent events in Ukraine and Russia’s recent annexation of Crimea show us how volatile the European theater still is. When the UK speaks about the Crimean or Ukraine crises it speaks as part of the EU. When the US Secretary of State, John Kerry spoke on Ukrainian TV, we could see two flags in the background: the US flag and the EU flag. The US and the EU talk as one to Moscow. Imagine now the 28 European countries speaking to Moscow individually and on their own. Some would probably choose not to speak at all. Others would give conflicting and different messages. Would President Putin even notice or pick up the phone? Unity means power in a modern, globalised world, where size matters. The EU has also managed to create PEACE in the Balkans, by starting to bring some of these countries into the EU (weaving peace). What new logo (e.g. flag, anthem) do you suggest? Why do you think these would work? The EU brand problem is complex, and is not resolved simply with a new symbol, slogan or a new rock song. It is a much deeper issue. It is a problem of content, education, clarification, meaning and engagement. That is why we will focus on a strategic vision of the future of the EU and on developing clear and engaging content first. As an example of what we mean: the UK has very strong symbols that define BRITISHNESS (Union Jack, The Queen, The Pound, etc), but a 2012 study of 2,000 British adults by research service OnePoll revealed that 1 in 5 adults confess to ignorance when it comes to identifying exactly which countries make up the UK. In the survey, 20.6 per cent could not list England, Scotland, Wales and Northern Ireland as the four countries comprising the United Kingdom. So if 20% of people in the UK cannot tell which countries are part of it, it is also apparent that many more people will be less clear and knowledgeable on a distant concept like the EU. So it is not just a problem of symbols; but also of emotion, relevance, awareness, interest, content and education. Isn't the problem with the EU itself, rather than branding and advertising? No. Like the UN and due to its nature as a supranational organisation, the EU is too complex to understand and explain to citizens. To ordinary people, it is a matter for experts, and is boring and distant. The EU needs a clear future brand vision that we can all understand and engage with. Our mission is to change all of that. Although our centre is called BRAND EU, we attempt to tackle the branding problem mostly though non-branding methods including policy formation and change to make the EU more accessible. There is a lot of misunderstanding with regards to words like “federation” or “confederation”. To make it simple: countries or states within a federation have decided to become interdependent. They share some mutually agreed degree of their power centrally, for the benefit of all parties and their governance. They simultaneously keep other powers nationally or locally determined; for reasons of autonomy, integrity, practicality and closeness to certain issues. Different federations have different types and degrees of power sharing, which are specified and agreed via treaties. Confederations instead tend to be looser associations and generally share very little power centrally (like the UN, for example). Confederations tend to be more like a members club where people can leave at any time. Federations require long term commitment in working together for the common good, under an agreed and mutually beneficial structure. Is the EU a federation? Today the EU is a governmental hybrid between a federation of nation states (ie. the US), a confederation (Switzerland) and an international organisation (the UN). Power is shared in different ways and at different levels; as determined by the EU treaties which were signed and agreed by the National Governments that represent the 500 million people of the EU. Unlike the UN, the EU has a democratically elected Parliament representing all EU citizens. The UN does not represent citizens and is more like a loose association (like a members club) where not everyone pays its dues or follows the club rules. The history of how the EU came into being is fascinating and has become the best example of peaceful international relations and governance in history. 500 million people who were previously constantly at war now live in peace. But it was not easy to arrive to what we have now. The road to create the institutions of Europe and maintain the EU was hard. The EU is not perfect (no government is) and is still work in progress. It needs now a strong brand vision to make the project better and more accessible to the people. That is what BRAND EU is helping to build. So how does the EU work? The European Union Institutions resemble the 3 branches of the US federal Government. So like the US Executive branch, the EU has an Executive called the European Commission. The Council of the EU is like the US Senate (the Upper Chamber) where all EU member states are represented. The European Parliament is like the US House of Representatives (the Lower Chamber). Like the US, the EU also has a judicial branch called the EU Court of Justice. So, although it is not directly comparable to the US system; think of the USA to understand how the EU works. Isn't Europe like many other international organisations, where the strong nations control the weak ones? No. In terms of making decisions, the Treaty of Lisbon introduced a simpler and more transparent system based on the principle of double majority of States and population. This means that the qualified majority can only be reached if it represents at least 55% of the States of the Union and 65% of the European population. Is the UK a federation? No, but it possesses many features of a federation. The UK is a political union of what were once four separate countries (England, Scotland, Wales and Ireland; though most of Ireland is now independent). It is governed as a unitary state (a state governed as one single unit in which the central government is supreme). England, Scotland, Wales, and Northern Ireland have a degree of autonomous devolved power. The tensions within the current UK settlement include demands for the extension of existing devolution arrangements, and the presence of secessionist movements, particularly in Scotland. Calls for further devolution in the UK are strong. The recent Scottish Referendum, could have broken the Union created in 1801, when the Kingdom of Great Britain became the United Kingdom. Expect a more federal UK in the coming years. Why have Norway, Switzerland, and Iceland flourished outside the EU, and are they less European as a result? These 3 countries with very small populations are examples often used by Euro-sceptics to make a case for a UK-EU exit. But it is wishful thinking. This is why. Norway: One of the best Eurosceptic arguments is the common claim that Britain can leave the EU but keep trading with the Single Market, ’just like Norway’ (called The Norway Option). But the ‘Norwegian option’ is a mirage. For starters, Norway has only a population of only 5 million people. It is the world’s fifth largest oil exporter, producing almost 2.5m barrels a day, and is one of the richest countries in the world. Euro-sceptics fail to mention that to trade with the EU, Norway still has to implement the vast majority of EU regulations. These are the rules that make sure the food we buy is safe, that appliances are energy efficient and that goods produced in one EU country can be sold in all the others. So Norway has to abide by EU’s laws, but lacks any influence or voting rights in EU affairs, and cannot determine the content of said laws. In contrast, the UK has a seat at every table, with 73 British MEPs in the European Parliament and a British minister at every meeting of the Council – each with a joint say over all of the EU’s rules. As one of the bigger member states, Britain also has greater weight in shaping decisions from the outset – the Single Market and EU expansion to Eastern Europe were largely UK-inspired projects. Iceland: Iceland has not flourished. With a small population of around 320,000 people, and outside of the EU, Iceland’s systemic banking collapse of 2008 is the largest experienced by any country in economic history relative to the size of an economy; larger than any country has ever suffered. (Cracks in the “crust”. The Economist). Following the crisis, the former Prime Minister Johanna Sigurdardottir, took the step to apply for EU membership in 2010; the application subsequently being withdrawn by the following government. Though Iceland is not in the EU, as a member of the Schengen area it issues European-Union style passport stamps. Switzerland: For starters, Switzerland is what is called a “permanently neutral power” as established by the Final Act of the Congress of Vienna dated 20 November 1815, where the total neutrality of Switzerland was guaranteed. Today, the European Union is Switzerland’s largest trading partner, so a functioning EU is critical for Swiss success. The relations between Switzerland and the European Union (EU) are framed by a series of bilateral treaties whereby the Swiss Confederation has adopted various provisions of European Union law in order to participate in the Union’s single market in the areas of Free movement of people, Air traffic, Road traffic, Agriculture, Technical trade barriers, Public procurement, Science, Security and asylum and Schengen membership, Cooperation in fraud pursuits, environment, media, education, care of the elderly, statistics and services. In February 2014, the Swiss voters narrowly accepted a referendum limiting the freedom of movement of EU citizens to Switzerland. What about the Euro currency? The recent Greek crisis of 2015 has shows that the EURO is a very strong currency as it did not suffer any major issues under great stress. We can say that the Euro is EXTREMELY SUCCESSFUL. Although relatively new to the world stage, the Euro has quickly become the second most traded currency behind only the U.S. Dollar, and is first in the world in terms of money in circulation. The Euro is also the world’s second largest reserve currency. Paradoxically, despite being outside of the Eurozone, the City of London has been the Euro’s main financial centre since the creation of the single currency. More than 40% of worldwide Euro foreign-exchange is handled in London, a bigger share than the rest of the Eurozone combined. The EURO is here to stay. What was the reason for the Eurozone crisis in Europe? Or the Greek crisis? Are the EU and the Euro the culprits? No. The European debt crisis grew out of the U.S. global financial crisis of 2007-2009, among many other complex factors, including: the globalisation of finance; easy credit conditions during the 2002–2008 period that encouraged high-risk lending and borrowing practices; real estate bubbles that have since burst; and the approaches used by nations to bail out troubled banking industries and private bondholders, assuming private debt burdens or socialising losses. The resulting slowing global economy exposed the unsustainable financial policies of certain Eurozone countries such as Portugal, Ireland, Greece and Spain, resulting in bailouts and new mechanisms put in place to avoid this happening in the future. The U.S. global financial crisis of 2007-2009 also led to the Northern Rock bank run and the nationalisation of more British Banks including Lloyds and RBS all bailed out by the public. The recent Greek crisis and bailout is also affected by the same crisis but enhanced dramatically by the fact that maybe Greece came into the Eurozone too soon and unprepared to make the necessary social and political changes required to stabilise its economy over time. What we have seen though, is the ability of the EU to provide a crucial financial lifeline to Greece to try to get its economy and political situation back in order. Without Germany, would the EU survive? It is an interconnected world. Germany needs Europe as much as EU needs Germany. Most of German exports go to the European Union with a staggering 600+ Billion Euro a year in trade (Federal statistical office) and with Britain having become Germany’s biggest EU trade partner in 2013. What do you think of UKIP and the other main Eurosceptic parties? UKIP has one sole agenda: TO GET THE UK OUT OF THE EU and then look at the consequences later. UKIP does not have much of a political agenda or strategy beyond leaving the EU, or a clear understanding of critical policy issues. These parties play up to the peoples’ popular disenfranchisement with mainstream politics. Most of their EU messages are grounded in misrepresentations or false or exaggerated information designed to scare the population and attract populist voters. They are clearly hostile to immigration, exaggerating both its extent and effect. As an example, they recently scared the UK public with the message that we would receive a Romanian and Bulgarian invasion (tidal flood) of workers on 1st January 2014; when their citizens secured the right to come and work freely in the UK. This has not happened. One particular UKIP campaign poster for a by-election claimed that “Next year, the EU will allow 29 million Bulgarians and Romanians to come to the UK,” as seen in the pre-election debate between Nigel Farage and Nick Clegg; an intriguing assertion considering that the two countries have a combined total population of around 28 million people (World Bank, 2013). Why does UKIP attract voters, then? UKIP uses a populist strategy to politics, in that they side with “the people” against “the elite”. In this case, the elite are the main UK political parties. Their angle is that they are anti-establishment, taking advantage of peoples’ disillusionment and unhappiness with the political system; despite being within the same system themselves. Currently many people have a lack of trust in the existing political establishment; the “status quo”. Euro-scepticism provides the excuse for an anti-establishment “anti-politics mood” platform, and so people subscribe to it. The main political parties and politicians (“the others [who] haven’t got a clue about the real world”) seem distant from ordinary people and their needs, an image which UKIP is keen to promote. Although UKIP seem to be on ‘same wavelength as the population’ UKIP’s political agenda for the future of the UK is non-existent beyond a UK exit, and full of “unrealistic” proposals with not much detail. They appeal to basic disillusionment, and little else. Their only agenda is for the UK to leave the EU, with no real future plan and regardless of the consequences. Russian roulette? Yes it is. What are some of the positive effects of immigration, then? It is useful here to refer to a study by University College London’s Centre for Research and Analysis of Migration (CReAM). Analysing the fiscal effects of Immigration to the United Kingdom, the authors found that immigrants from the European Economic Area (EEA) who arrived to the UK after 1999 contributed 34% more to the fiscal system than they took out, amounting to a net contribution of £22.1 billion between 2001 and 2011. Another CReAM study found that Romanians and Bulgarians contributions to the Swedish finances exceeded public costs relating to them by around 30% between 2007 and 2011. Considering that Sweden offers considerably more generous benefits than the UK and that immigrants are more likely to speak English than Swedish when coming to the respective country, little indicates that the UK would have to expect less positive results. EU immigrants to the UK are helping to fund schools and hospitals. European immigrants did indeed contribute close to £22 billion to the British finances between 2001 and 2011, although the number actually refers to the EEA which also includes Norway, Iceland and Liechtenstein. Given the fact that UK GDP is rising, against many forecasts, why would the UK want to stay in the EU? GDP measures aggregate activity in the economy and plays a central role in discussion about monetary and fiscal policy and about the state of the economy generally. At the same time, GDP has long known weaknesses as a measure of economic welfare or wellbeing. Unlike GDP, which has now recovered substantially from the falls in the recent recession, GDP per capita has recovered only a little of the fall seen during the recession (UK’s statistical agency). Another measure of national financial health is the national debt. The UK’s debt has spiralled to £1.4 trillion and is out of control. So GDP cannot be the only measure used by a country to decide its own future or its status in the EU. The global financial crisis taught us a key lesson; that all economies are interconnected and dependent on each other. Your neighbours’ welfare is your welfare. Does the European Parliament have any real legislative powers, or any power at all? The EP is undoubtedly a legitimate international parliament with unique specifics about it; which complements national parliaments rather than confronting them. While it was originally only a consultative assembly, its legislative powers have grown over time. It has 3 main powers: legislative, budgetary and supervisory. The “co-decision procedure” introduced in the Maastricht Treaty of 1992 meant that the EP and the Council of ministers must both approve a proposal from the European Commission in order for it to become EU law; the EP has the right to accept, amend, or reject any proposed EU legislation. The European Parliament, whose 766 members are directly elected by the people (and represents the second largest democratic electorate in the world) is an increasingly important democratic counterweight at the European level to the Commission and Council. To prove its legitimacy, in 1999 the European Parliament made the entire European Commission resign following reports of mismanagement and nepotism. What is confirmation bias? Why do you think it applies to the EU brand? Confirmation bias is when we favour and recall only evidence and information (articles, books, comments, etc.) that supports our beliefs or theories, rejecting any information that contradicts them regardless of whether the information is true or logical. We believe the EU in the UK suffers from confirmation bias in the sense that the negative perception of the EU created by the UK euro-sceptic mass media might be driving people to seek only information that supports that negative image. We believe that the ability of a person to maintain multiple hypotheses to an issue and arrive to conclusions based on rational and logical thought rather than a pure emotional bias or a fixed dogmatic position leads to a better society. BRAND EU will aim to reverse such perceptions by providing a neutral and fact based perspective on EU affairs and its role in maintaining a peaceful world. Citizenship of the European Union was introduced by the Maastricht Treaty, signed in 1992. EU citizenship is additional to and does not replace national citizenship. EU citizenship, conferred automatically on any EU national, brings with it a number of important rights such as the right to vote in European elections, the right to free movement, settlement and employment across the EU, and the right to consular protection by other EU states’ embassies when a person’s country of citizenship does not maintain an embassy or consulate in the country they need protection in. One of BRAND EU’s main tasks is to focus on making European Citizenship more relevant to people. How big is the EU budget? What is the UK contribution to it? The EU budget was around €140 billion in 2011 (European Commission, 2011); though this might seem a vast sum, it represented only around 1% of total EU-27 GDP. In 2011, the EU budget was actually smaller than that of the budget of a medium sized Member State, like Austria or Belgium. The Commission is ultimately responsible for allocating the budget. However, EU countries manage 76% of EU funds. Currently the largest share goes towards creating growth and jobs and reducing economic gaps between regions. Another big portion goes to agriculture, rural development, fisheries and protection of the environment. Other spending areas include the fight against terrorism, organised crime and illegal immigration. In December 2013, the Council of the European Union adopted the regulation laying down the EU’s multiannual financial framework (MMF) for 2014-20. The multiannual financial framework is a modern budget for the Union in the 21st century. It contains a number of important innovations and demonstrates clear European added value. Overall, over the next seven years, the EU will commit to invest up to €960 billion. In comparative terms, this amount represents less than 1% of the Gross National Income (GNI) of the whole European Union. Nonetheless, these financial means will provide substantial EU added value in terms of investments and the achievement of the objectives of the Europe 2020 programme.